The scorching sun is beating down on your back and the sweat is falling like a waterfall from your sopping wet forehead. But that is to be expected when you are racing your bike down the highway in July. This might seem a little out of place since it is only February and summer is still months away. But we figure that right now is as good of a time as any to start making a list of all of the fun things you are planning on doing this summer. It might help if you have a little imagination. The cold winter is hard on your windshield and you could have cracks or other damage. With all of the debris on the streets in the winter, the chances are pretty good that your windshield has been dinged by at least a few rocks or pebbles. 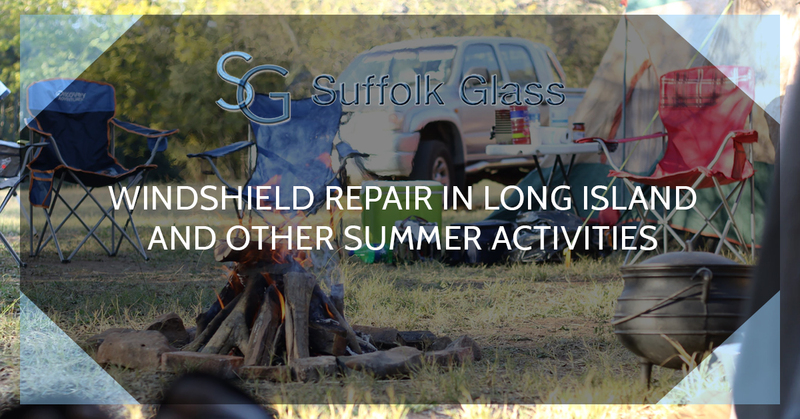 Take your vehicle to Suffolk Glass in Long Island for an inspection and windshield repair if necessary. Spend a Saturday afternoon supporting local farmers by purchasing locally made and grown foods. And while shopping the market is a fun experience for the entire family, going home to cook everything up is even better. From small towns to big cities, there are plenty of occasions in which fireworks are used. Check around to find where and when fireworks shows are happening this summer and mark them on your calendar, they are fun events that the whole family is sure to enjoy. Pack up some sandwiches, sliced melons, pasta salad and chocolate chip cookies and head out to a secluded area filled with trees or just head to the closest park and have a picnic. Don’t forget to bring some iced tea in a cooler and bug spray to keep the pesky insects at bay. Does it feel like summer yet? No? Perhaps you aren’t trying hard enough. Use your imagination. Growing a garden gives you the perfect excuse to dress up in your grubbiest clothes and play in the mud and dirt. It also gives you the opportunity to enjoy the cool evening breezes in the summer and enjoy the fruits of your labor come fall when the goodies in your garden are harvested. In a few short months, you could find yourself far away from the lights of the city staring up at the sparkling night sky. If you plan on going camping that is. Camping is just one of those activities that reminds us so much of summer. If you close your eyes, you can hear the crickets chirping, the smell of the smoke from the campfire and taste the marshmallows you just toasted. The first chance you get you will be breaking the grill out of storage and tossing down a hand-crafted patty. We hope that reading this lifted you, even just a little bit, from the winter funk you are suffering. But seriously, you need to have your windshield examined at Suffolk Glass because winter is hard on them.